Wow, you have given me alot to consider. Let me work the ingredients I have coming in first, then I can consider delving further into the issue. I appreciate your time and attention. The only food based flavor I truly appreciated was a “green apple”, that I eventually mixed with my Mint Chill. Thanks for the beginning info. Thanks for well wishes. The very best to you and yours. Im not saying that once I am comfortable, that I won’t switch methods. Just that as a complete newbie, I ordered what I thought would be effective for me to mix fluids to my taste. Though I agree that others have their own preferences, it seems I already offended someone with my food flavored juice comment. I am the same way as you, live and let live. Food/no food, weighted/volume and my favorite, 45/9mm . I truly appreciate everyone’s constructive advice. Thanks for clarifying your position, I actually thought that perhaps I had re-flamed an old “fire” without knowing it. From an old 45acp person, thanks once again. I’m right there with you. I had to take a few years off myself but had a PG issue. I ordered from NR myself yesterday. Actually two separate orders since I needed more flavors. I love minty flavor as well. Good luck on your journey since I’m totally new to diy juice. I build my coils but the was where I needed to be for my allergy. I’m going with a 80-90vg/20-30pg blend myself. You are so right about the new regulations out. Plus I got out a few of my old mods as well! Lol, allerery people unite. Talk about old equipment, I am ruining an Eifel T1, with an aspire Atlantis tank. My hands are too big to wrap my own coils, so I run the .3 sub-ohm premades from Aspire. I am hoping I can get close to the flavor profile I enjoyed years ago. It had a very lung filling feel with extreme cooling sensation. The cooling was helpful, living in Florida, lol. But from people’s reviews, it appears that with the current flavors I have coming in, I am going to have more of a menthol flavor… To be determined. I have decided to keep a log so I know exactly how much of what flavor I’m adding, since it appears I will have to wait a week for the true “profile” to develop. At my age, memory isn’t what it used to be. @Seeker I did see where there’s a few flavor additives that can help with the mint or cooling sensation that you probably are seeking. Forgot the name of many but two did stick out in my old memory bank of being Koolada and Polar Blast. I found several different additions that can help us out these days. On Nic River they will be on their own listing for them under additives. Just got the link. Go on your profile and start banking recipes and tweaking them there. You can add new recipes as you go and save them along with notes. I’m doing that now. I also saved some of the juices that I like but are clones. I’m done buying anymore!! Promise you that. I understand the need for a cool flavor. I’m not far away from you. I’m in AL. Small world! I feel a minty, buttery, tobacco vape recipe coming on! Might be good…? That’s funny. I just ordered more flavors. I’m now staying away from those pages until I need base liquids now. LOL. Figured I’ll use a few in baking as well. I’ve got a pretty good jump now. Followed my own advice about the Koolada! I think you are right on the minty, butter thing! Sounds awesome too! Zero calorie at that! Butter Mint Purilum is a good single, only available on NR I think. Awesome! Thank you Letitia!! You’re such a great help to me! I just ordered from them as well! I’ll put this on my wishlist!!! Well the package arrived today. 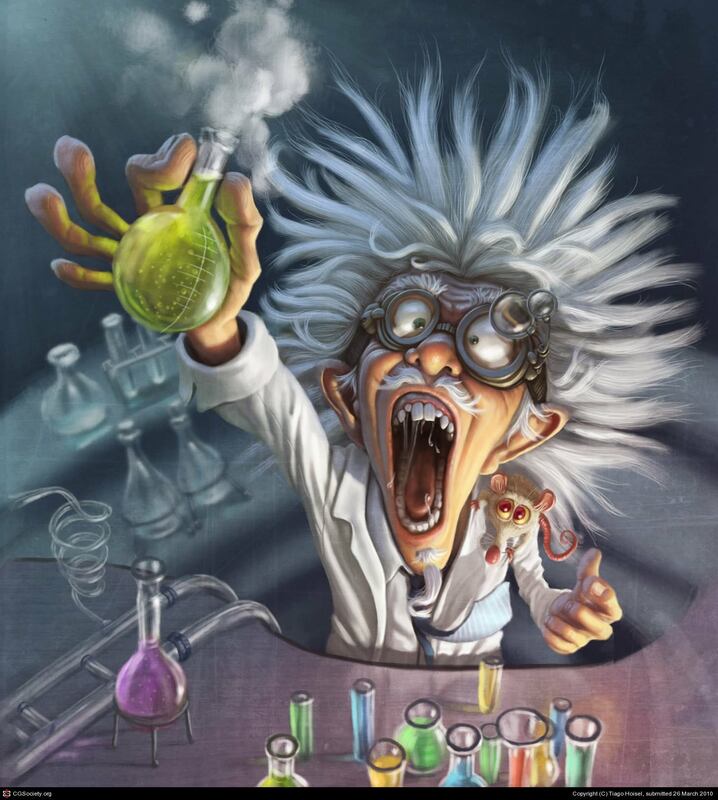 Let the mad scientist loose, lol. I have a basic understanding of the concept, my only concern will be the flavor profile. What really funny is that I actually purchased velcro straps so that I could strap my finished bottle onto my upturned DA sander. The sander normally takes round fuzzy backed sanding disks but the fuzzy side of velcro strip sticks great. This is what I’m going to try as a bottle shaker… Anyone else have a better home engineering idea for a shaker?